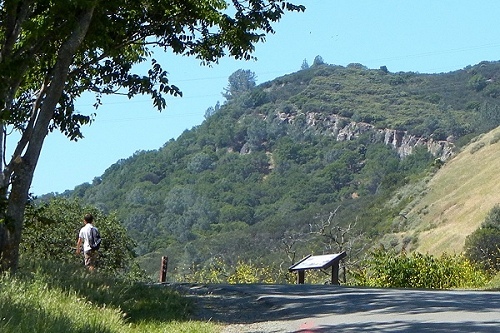 With California’s state parks under threat of imminent closure, the East Bay Regional Park District is a bright spot for naturegoers. 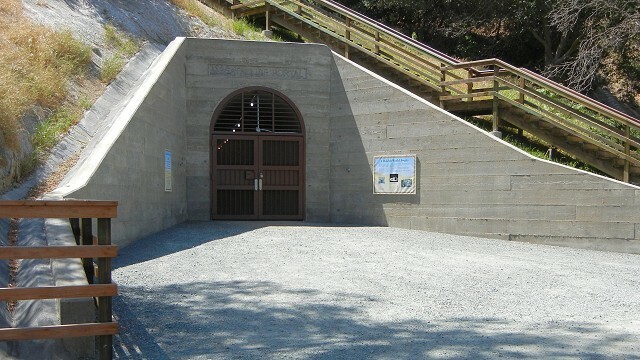 Careful management has maintained steady funding in hard times, and this summer EBRPD’s Black Diamond Mines Regional Preserve promises to be a well-attended placeespecially with the long-awaited reopening of its underground Greathouse Visitor Center. Black Diamond is named for its history as California’s largest coal district, starting in the 1850s. 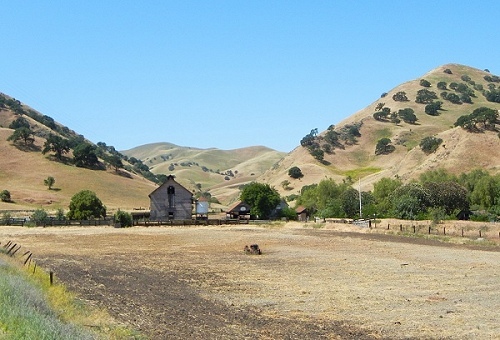 Coal was a prerequisite of 19th-century technology, and its discovery in the hills south of Antioch helped propel the new state of California to prosperity. It wasn’t great coal, being classified as lignite or the lowest grade of coal, but it was good enough to do the job. Several mining towns sprang up here, and for a while this was the biggest settlement in Contra Costa County. 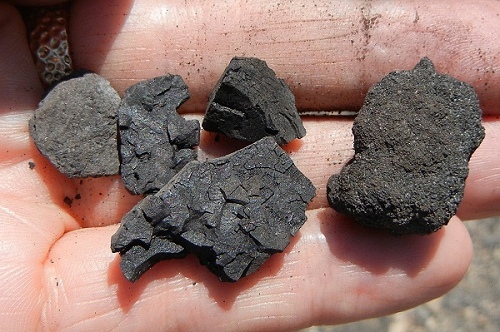 Fragments of Black Diamond's low-grade lignite coal can still be found in the tailings piles. The coal didn’t run out, but by the 1890s better coal was available from elsewhere so the mines shut down soon after. Next came the exploitation of the premium quartz sand beds beneath the coal. The sand mines supplied glassmakers in Oakland and steelmakers in Pittsburg from the 1920s to the late 1940s. That was when the Greathouse underground chamber was created, in the Hazel-Atlas sand mine. The Regional Parks District repurposed it as a visitor center in the 1970s, but storm damage shut it down in 2007. After five years of painstaking rehab, the room is receiving visitors again every weekend at no charge. The old mining district is hidden from the riverside sprawl of Antioch behind a narrow canyon and oak-dotted hills. Driving through the canyon is like leaving the 21st century behind. Inside, the vegetation is more lush on the higher hills, and miles of trails snake through the country. The area is notable for wildlife and plant species, but geologists find it notable too. The bones of the hills are relatively young sedimentary rocks that are well exposed here. They extend all the way across the Central Valley in the subsurface. I look forward to showing you more as I explore this beautiful place.